Some of our amazing results on Video! Having a hard time dusting and keeping it that way? 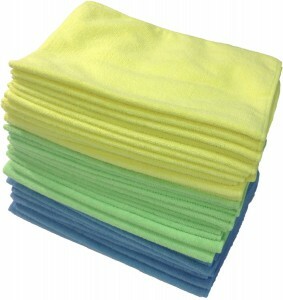 Microfiber towels to the Rescue! When it comes to allergens, very few can compete with mold. 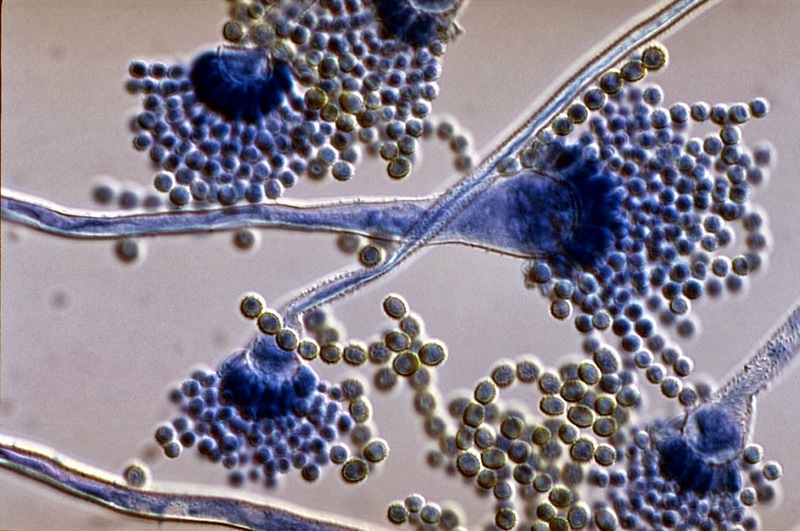 This mighty microscopic organism is a type of fungus that has survived every environmental condition since the dawn of time. While mold thrives in damp, warm and/or dark places, when an organism is this tough, it’s no surprise that it can be found virtually anywhere, any time of year. Like all living things, mold requires food, water, oxygen and an adequate temperature to grow. Yeast is a type of mold that makes bread rise when it reacts with sugar, warm liquid and air. More resilient molds are just as happy with colder and hotter temperatures and food sources including wallpaper, fabrics, wood, dust and decomposing leaves. Outdoors, an invisible, airborne mold spore can float through on summer breeze and settle in cut grass under a shade tree. Decaying leaves and autumn rains will help it grow and while the mold stays dormant during the winter, even the harshest weather conditions won’t kill it. As temperatures rise and snow melts, mold grows and waits for the next windy day to start the cycle all over again. A similar mold life cycle occurs indoors. The obvious and frequent indoor places to harbor mold include basements, bathrooms and kitchens. But mold can also find a home where flooding or leakage has occurred in roofs, pipes or walls. Even areas around indoor plants can be hospitable for mold. And if mold makes a home in heating and air conditioning ducts, the spores can be spread throughout an entire building very quickly. Mold problems can develop almost overnight. In an optimum environment, mold growth can occur in just 48 hours. While mold spores are invisible, mold growth can be seen. White, green, blue or even black spots on walls or ceilings may indicate a mold problem. For people who are sensitive to allergens, the invisible, airborne mold spores that are easily inhaled can cause a wide variety of symptoms from nasal stuffiness, eye irritation, wheezing, or skin irritation to more severe symptoms like fever and shortness of breath. For some people, mold can make existing health conditions worse and mold can even be toxic. While the allergic reactions to mold can be dangerous, eliminating mold can present its own health-related challenges. The harsh chemicals often used to eliminate mold also can also cause allergic reactions or trigger asthma attacks. Most products used to treat mold carry safety cautions and suggest that the user wear goggles and a respirator. The Grime Stoppers has a safe and effective solution for mold removal, odor control, green cleaning, and broad-spectrum disinfection. It’s called Vital Oxide and it destroys mold on contact and prevents mold spore germination for up to seven months. Vital Oxide is an Environmental Protection Agency (EPA) approved sanitizer that is an environmentally friendly alternative to harsh chlorine (bleach) or ammonia cleaners. This odorless product is ideal for hospitals or other health clinics where caution is essential for people who suffer from allergies or asthma. It’s so safe that you can wash your hands with it and it can treat all types of surfaces, including fabric, wood, concrete, and bathroom or ceiling tiles. Vital Oxide penetrates hard and porous surfaces alike, killing mold and airborne pathogens. Contact The Grime Stoppers to learn more about Vital Oxide and how it can safely and effectively eliminate your mold problem. Most cleaning products use harsh chemicals to remove stains and clean up messes, but consumers need be aware that these cleaning products could actually be doing more harm than good. Chemical exposure happens when someone comes in contact with a chemical or a surface that has been contaminated by a chemical. Exposure can happen by inhaling, ingesting, or touching a chemical or area that has been in contact with the chemical. It is important to choose your cleaning products carefully because exposing yourself or your family to toxic chemicals can result in some very serious side effects. Toxic chemicals that come in contact with skin can cause irritation, rash, redness, discoloration, burns, dermatitis, or other problems once the chemical is absorbed. 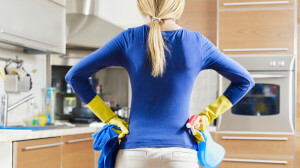 Sodium Hydroxide, for example, is a corrosive chemical found in many home cleaning products that can irritate the skin. Toxic chemical exposure can also cause a variety of harmful side effects that affect your respiratory system. These side effects can include asthma, cough, inflammation, wheezing, chest tightness, shortness of breath, or even lung cancer. 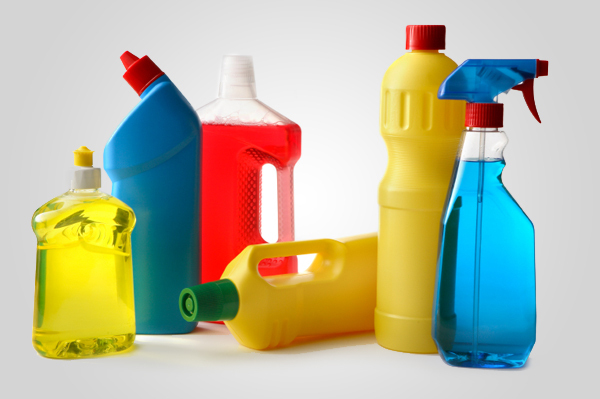 Ammonia (found in glass cleaners) and chlorine (found in bathroom cleaners and mildew removers) are common cleaning chemicals that can negatively impact your respiratory system. Exposure to toxic chemicals that affect your nervous system can cause headaches, blurred vision, confusion, and dizziness. Pthalates are a class of several different chemicals that are often used to add fragrance to household products and they have the potential to cause severe migraines or asthma. Your immune system can also be harmed by exposure to toxic chemicals that cause allergies or autoimmunity. Cleaning products that contain added fragrances and/or formaldehyde have the potential to damage the immune system, which increases risks for allergies or infections. If your hepatic system is exposed to toxic chemicals, you could experience liver damage, tumors, or liver cell damage. Your hepatic system processes food and attempts to remove chemicals from the body. One example of a toxic chemical that affects the hepatic system is 2-Butoxyethanol, a multi-purpose cleaner that can damage your liver and kidneys when inhaled. The renal system moves waste out of your body and regulates body fluids. If you come in contact with toxic chemicals, you could suffer renal system damages including kidney damage or kidney cancer. 2-Butoxyethanol can cause these side effects and should be avoided. In extreme cases, toxic chemical exposure can cause birth defects or infertility. When the reproductive system is exposed to toxic chemicals, natural functions like egg or sperm cell production can be negatively affected. To make sure you are using safe cleaning products, check the labels. Safe products that are free of toxic chemicals will often be labeled “environmentally friendly,” “eco-friendly,” “non-toxic,” or “natural.” At The Grime Stoppers, we use and sell environmentally friendly products like Vital Oxide and PURETi that are safe for you and your family, and even safe for babies. Other precautions you can take to avoid toxic chemical exposure include washing your hands, making sure your home is well ventilated, and being aware of the chemicals in your household products. If it’s time to clean your home but you want to make sure you are not using any toxic chemicals, contact The Grime Stoppers today about our safe and eco-friendly product recommendations. What Can New Parents Use to Clean With That Is Safe For Baby? Everything gets a little more complicated once you introduce a baby into your home, especially choosing the safest cleaning products. Most disinfecting cleaning products, like chlorine bleach, contain harsh chemicals that are harmful for adults to come in contact with, let alone babies and children. But the disinfectant Vital Oxide uses chlorine dioxide instead of bleach, making it a much safer cleaning and disinfecting product. 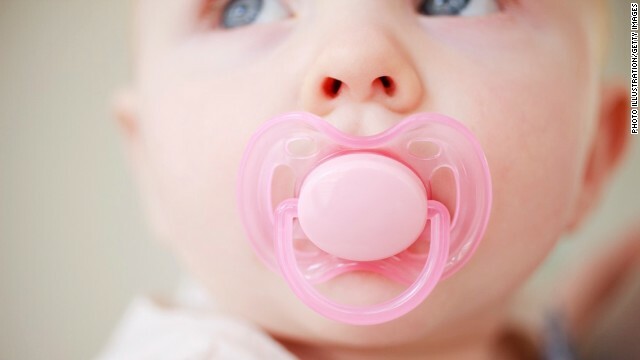 How is Vital Oxide Safe For Baby? While most other cleaning products that remove mold and bacteria contain harsh chemicals that can cause health issues, Vital Oxide contains no ozone harming volatile compounds and does not emit any dangerous by-products. This means it won’t cause eye irritation, headaches, rashes, or nausea like other common, harsh chemicals found under your sink. It is ecologically sound and non-corrosive, so it does not irritate skin and will not damage surfaces. In addition, Vital Oxide is a no-rinse required sanitizer that is still safe for your baby even if your surfaces are not rinsed with water after application. Where Can I Use Vital Oxide That Will Be Safe For Children? You can use Vital Oxide to safely clean most areas where children and babies will be. It is a disinfectant, odor eliminator, and mold and mildew remover. Because of this, it can replace a variety of harmful cleaning products you may have in your home that are not safe for children. Nearly any area that your child or baby will be can be cleaned safely with Vital Oxide. Vital Oxide can be used to clean bathroom floors, shower curtains, mirrors, sinks, bathtubs, showers, drains, and toilets. All of these areas will be safe for your child if they are cleaned with mild, non-corrosive Vital Oxide. 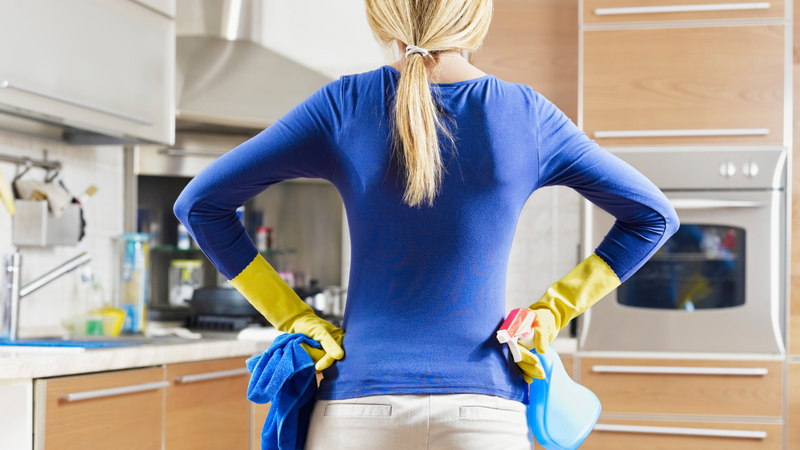 In addition to bathroom surfaces, Vital Oxide can safely clean your kitchen as well. The stove, refrigerator, trash can, floor, counter top, appliances, and cutting boards can all be cleaned without emitting harmful by-products that could come in contact with your baby. Mold and mildew can be found almost anywhere there is moisture, and this can trigger asthma attacks or allergies. To protect your child from these health risks, you can safely treat basements, bathrooms, and other places with Vital Oxide. Let’s face it. Hauling a baby around in the car can be messy business. From baby spit-up to diaper disasters, Vital Oxide is the solution. Not only does it safely disinfect so the area is safe for children, but it also eliminates any residual odor. Vital Oxide is safe and gentle enough to disinfect and eliminate odors from diaper bags and pails. Where Can I Get Vital Oxide? The Grime Stoppers sells convenient sizes of Vital Oxide for DIY use. The 3oz spray bottle is convenient for use on the go, while the 32oz spray bottle is perfect for use at home. Vital Oxide can also be professionally applied to large areas using electrostatic spraying technology. If you have any questions about eco-friendly and child friendly cleaning products, or if you would like Grime Stoppers to professionally disinfect your home with our electrostatic Vital Oxide application, contact us today or call 618-223-8445. We all know that bathrooms can hold mysterious odors, but did you know your grout could be the culprit? Do you know how to clean grout to get rid of the funk and prevent future odors? After understanding what causes grout odor, you can better attempt to fix the problem. We have some helpful do’s and don’ts on how to combat this unpleasant problem. Grout odor is caused by bacteria, mold, mildew, or other contaminants absorbed into the floor. Grout is especially good at cultivating bacteria because it is porous and hard to clean. The good news is that an effective initial deep cleaning and regularly scheduled cleanings after that can eliminate the smell. The bad news is traditional cleaning methods won’t do the trick on tile or grout. The mop is often the go-to cleaning tool for bathrooms. Unfortunately, mops don’t eliminate bacteria and can even worsen grout contamination because they essentially just spread bacteria around the floor. As soon as the mop is dipped back in the bucket, the rest of the cleaning solution is contaminated and your remaining cleaning efforts are ineffective. The inefficiencies of mopping can actually worsen grout odor. Because grout is so rough and porous, a mop has no way of penetrating that surface and removing impurities. Oftentimes, the groove between the tile and grout can even pull contaminants out of the mop and transfer them into the grout’s pores. 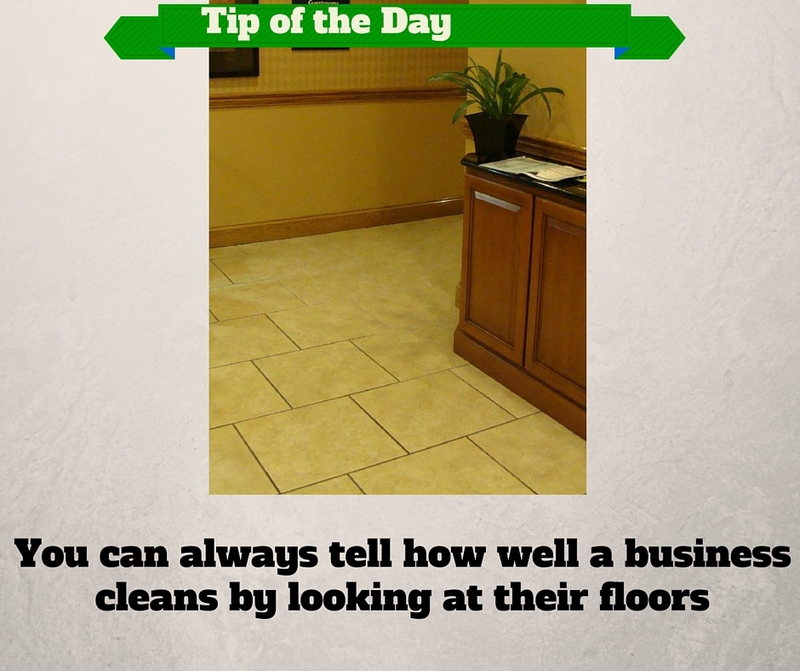 However, there is still hope for cleaning your bathroom floors and eliminating grout odor. What Can You Do To Eliminate Grout Odor? Now that you know what causes grout odor and how not to address it, you’re ready for the do’s on eliminating grout odor. One way to clean your bathroom floors involves using an acid solution and a stiff bristled brush to vigorously scrub the tile. However, this is tedious and daily cleaning is recommended. Who has time for that? Not to mention the amount of harsh chemicals you and your bathroom will be exposed to. New technologies and businesses that specialize in floor cleaning have made it easier and more convenient than ever to effectively remove odor-causing impurities from grout. Vacuum extraction systems use a cleaning solution and vacuum process to clean bathroom floors. The cleaning solution works to agitate soils for the vacuum. Then, the vacuum uses water pressure in a suction dome to lift the cleaning solution, remove all contaminants, and dry the floor. The Grime Stoppers have advanced soil removing technology that deep cleans floors and removes grout stains and odors. Our non-toxic, eco-friendly cleaning solution loosens up bacteria and grime that has been ground into your floors. 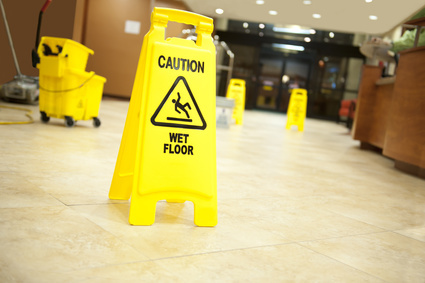 We specialize in cleaning, coating, and maintaining tile and grout. This means cleaner floors, less maintenance, and fewer harsh chemicals. Our patented cleaning tools can make your floors look brand new. We offer monthly maintenance and all of our work is guaranteed. If you are interested in having your floors pampered with a deep clean, durable coating and regular maintenance, contact The Grime Stoppers today. We Survived Winter, But Now It Is Time For Spring Cleaning! It’s been a long, cold winter, but spring is almost here! We’re betting that like us, you’re ready to open up your home and start enjoying some warmer weather and fresh air. We know, however, that once you open up your windows and get out in the yard, you’ll invite more than spring air inside. Dirt, mud, pollen, and debris are also likely to make their way into your living spaces. To help you keep your home fresh and healthy this spring season, we have a few simple cleaning tips and tricks. If you don’t already have door mats on the both the inside and outside of your entryway doors, now is the time to get some. A durable, textured welcome mat outside can catch large particles and debris from shoes before people enter your home, then a softer mat on the interior side of the doorway will help catch finer dirt and pollen before it gets tracked throughout your house. House Rules: Wear House Shoes! Did you know that bare feet and soiled socks are actually worse for your floors than wearing shoes? The oils on the bottom of your feet create a film on hard floors and carpets that isn’t easily cleaned away. If you really want to keep your home clean and protect your flooring, enforce a house shoe rule. Once your family steps inside, insist that street shoes come off and dedicated house shoes go on. This seems obvious, but you might be surprised how much of a difference regular vacuuming can make. We would recommend that you vacuum all the floors in your home at least once a week, and aim to tackle high traffic areas like entryways and kitchens more often. The longer dirt and debris is left on a floor, the more likely it is to bond with oily residues and become embedded in carpet fibers and lodged in the crevices of hard floors. 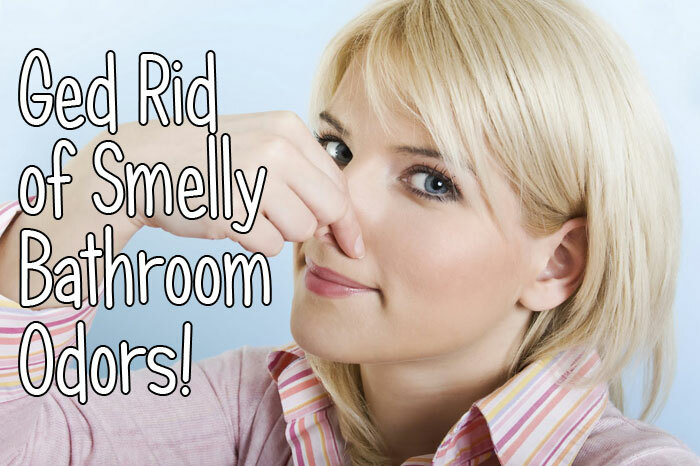 When this happens, it can become a breeding ground for biofilms and tough odors. You’ve probably seen infomercials for floor cleaning tools where dirty mop water just gets pushed around the floor. While those videos are grossly extreme, there is validity in the basic concept. When you mop your floor, make sure you use a clean mop and be careful to change your mop water when you can no longer see to the bottom of your mopping bucket. If you prefer using disposable or reusable mopping cloths, you may need to use more than one to effectively clean all your hard floors. We especially recommend swapping out your water or mopping cloth after cleaning a greasy kitchen floor or when cleaning around toilets. You don’t want to spread that stuff around the rest of your home! Since most of the dirt in your home will be tracked onto your floors, that’s been the focus of the tips above, but this trick really plays triple duty. After a long winter, your windows probably need a good scrubbing to let all that springtime sun shine through. We suggest using a cleaning product that not only cleans the glass on your windows, but also will keep them clean for several months AND help purify the air in your home. PURETi Fresh is a groundbreaking product that is environmentally friendly, odorless, and incredibly powerful. Your glass will gleam and the air inside your home will be fresh and clean as well. For more spring-cleaning advice from the green cleaning experts, contact Grime Stoppers today! Help! 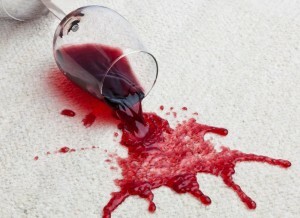 I Spilled Red Wine On My Carpet…Now What? Ever had this problem? You’re having a great time until the agonizing moment when you accidentally spill a glass of red wine on your carpet. Panic sets in, but have no fear! The Grime Stoppers are here! When treated quickly and correctly, red wine doesn’t have to ruin your carpet. We have some handy tips and tricks to tackle the stain before it sets in. One of the worst things you can do to any carpet stain is scrub it. Vigorous back and forth motions will only push the liquid around and further down into the carpet fibers, setting in the stain and making it more difficult to remove. Instead, get a clean, absorbent white cloth and immediately try to blot up as much of the liquid as possible. Blotting means to gently dab the cloth up and down over the spill. Do not use too much pressure; just let the absorbency of your cloth do most of the work. Try not to move the fibers of your carpet around because you’ll only expose the liquid to a larger surface area. If you have stain resistant carpet, the technology should help repel the moisture for a little while, but you need to act quickly. The more red wine you can soak up with your blotting cloth, the less you’ll need to extract from the carpet later. Add Water… Then Blot Some More! After you’ve blotted up as much of the standing liquid as you can, spritz the stain with clean, cold water. This will help dilute the remaining wine and allow you to blot up a bit more color. Continue this process until your white cloth is no longer picking up any trace of red wine. Do NOT Apply OTC Chemical Cleaners! In most cases, just the first two simple steps will clean up the mess and leave your carpet stain-free. If you still see some color, however, please resist the urge to do more yourself! Red wine is an organic stain that can easily be removed with professional-grade stain removal systems, but if you apply chemical solutions to it (like over-the-counter cleaners), you might set the stain or worse, damage your carpet beyond repair. Instead, call the Grime Stoppers and we will come to your rescue with our eco-friendly, non-toxic Procyon spot treatment and professional extraction equipment. In the end, your carpet will show zero evidence of the wine crime. Even if you missed your window of opportunity and it seems that the stain has already set in, call us right away and we can help! Our advanced carpet cleaning technology will work wonders.